The Delegate Interpretation System (Wired System) provides interpretation for conferences that entail interactive conversation between multiple participants. 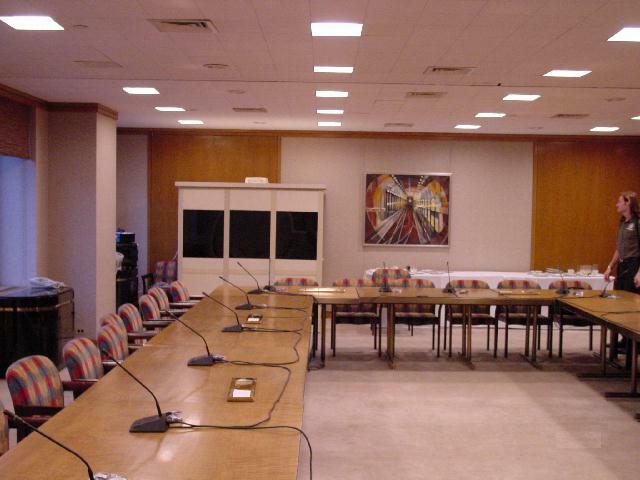 Included within these setups are Board of Director Meetings, Training Sessions & Discussion Groups. 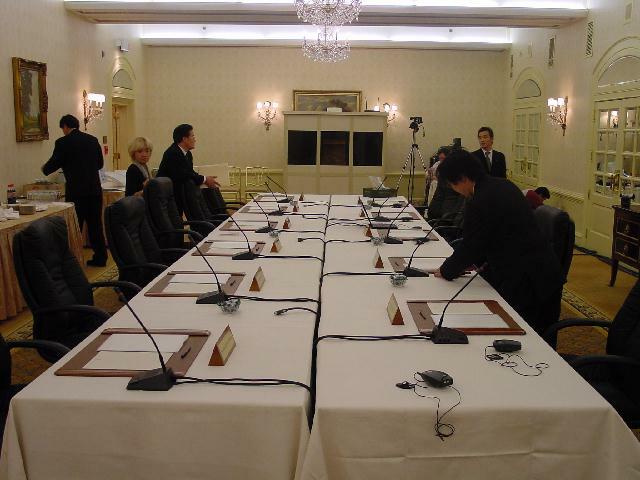 The system provides a Delegate Unit (Microphone & Interpretation) for each participant. A Delegate Interpretation System is the Simultaneous Interpretation System ideal for bilingual and multilingual conferences and meeting that require intense 2-way conversations between the conference languages. The Delegate Interpretation System is the perfect choice for a Boardroom Meeting in which the Board of Directors is international. In today's economy, more and more global companies have bilingual and multilingual boards. The Delegate Interpretation System provides each participant with a Delegate Unit (SX-D700 or SX-3600). The Delegate Unit incorporates a microphone and listening capabilities. The system can accommodate up to 60 Delegate Unites in standard mode and 120 in the extended version. The system can also accommodate up to six languages in standard mode or eleven in our exclusive extended mode. The system is designed specifically for Simultaneous Interpretation and a Delegate Conference System. The System Control Unit (SX-M700) allows for precise microphone control without the myriad of mic cables and large mixing boards typically associated with large microphone setups.